Our graduate student representative, Mike Roche, asked me to write an essay for the Graduate Student Corner of the SITAR newsletter that would offer some “words of wisdom” from someone who has recently completed graduate school. Although I still haven’t fully accepted the idea that I have any unique wisdom to impart, I accepted the task as an opportunity to reflect on how interpersonal theory has influenced my graduate school experience, and how it continues to inform both my professional and personal life. papers I have read. In this paper, Wiggins uses a wide range of examples including the worldviews of Confucius, the use of language, and our understanding of gender to argue that agency and communion are universal constructs and “propaedeutic” to the study of interpersonal behavior. The paper had a lasting impression on me because it illustrated the ubiquity of agency and communion as well the necessity Bakan (1966) placed on maintaining a balance between agency and communion for psychological well-being. What follows are a few examples of the omnipresence of agency and communion in my life, and how finding a balance between them helped me to successfully navigate the demands of graduate school. that I came in contact with interpersonal theory when I did as the notion of maintaining a balance between agency and communion reinforced in me the importance of a Middle Path which is something I have been attempting to follow since attending my first mindfulness meditation retreat a few years before I began graduate school. The Buddhist notion of a Middle Path describes a way for living a harmonious life characterized by moderation and abstaining from extremes; an idea that is consistent with the idea of avoiding unmitigated agency and unmitigated communion. Meditating on the ideas inherent in a Middle Path allowed me to bring greater attention to the importance of balancing my own agentic and communal needs and I believe helped me to both “get ahead and get along” in graduate school. agency and communion. “Work hard/play hard” was the “Wiggins Way” according to Aaron and certainly a motto that he instilled in his students as well. Of course working hard meant prioritizing publishing, giving talks, taking on more patients than was required by the program in order to get advanced clinical supervision, and teaching whenever an opportunity arose. Playing hard typically included early morning lab tailgates during the Penn State football season, catching live bands that came through Central Pennsylvania (including of course The Dead), and “interpersonal sushi” dinners during annual academic conferences. The work/hard play hard attitude certainly helped mitigate the potential for excessive behavior, but it was the lab that offered a home base where the balance between agency and communion could be restored into a more integrated experience. Being a member of a lab where there were shared values and priorities opened up a space where it was possible to support each other’s agentic and communal needs by being together to process graduate school experiences, support each other’s research projects, discuss clinical dilemmas, or talk about professional and personal trajectories. Having to leave such a supportive and communal lab to go on my clinical internship was difficult, but represented another occasion to redirect my attention towards pursuing new agentic opportunities and a chance to establish a new sense of professional differentiation. The process of becoming a differentiated individual obviously begins much sooner than leaving for internship. Going to graduate school in order to develop a sense of mastery requires endless hours of dedication which necessarily requires some level of differentiation from the community one was a part of prior to beginning graduate school. For some this might mean declining an invitation to get together with old friends or not being able to see family as often as before. While differentiating myself from my family and the expectations they had that I would work in the family business began long before I made the decision to go to graduate school, it was certainly solidified when I informed them of my intent to pursue a doctoral degree. Fortunately, my family supported my sense of agency and need for differentiation and continued to provide communal support throughout my graduate training. The tension between balancing one’s agentic strivings with the need to be a part of a larger familial entity seems to be universal among graduate students and many of us have had the experience of having to explain to family members that summer break from classes does not mean that we can visit more often, but rather means a time for getting even busier as we turn more attention towards research projects. Nor does this tension end with the graduation commencement ceremony. Decisions about how far one is willing to move away from one’s family of origin for internship and post-doc and eventually for one’s ideal position all require difficult and personal decisions about how to balance agentic and communal priorities. As we get older other life events will also inevitably require careful consideration of how to balance communal and agentic needs. I would like to conclude by sharing what for me has undoubtedly been the biggest anchor for mitigating my agentic strivings. I was married shortly into my master’s program, my first son was born during the third year of my doctoral training, and my second son was born the spring before I began internship. 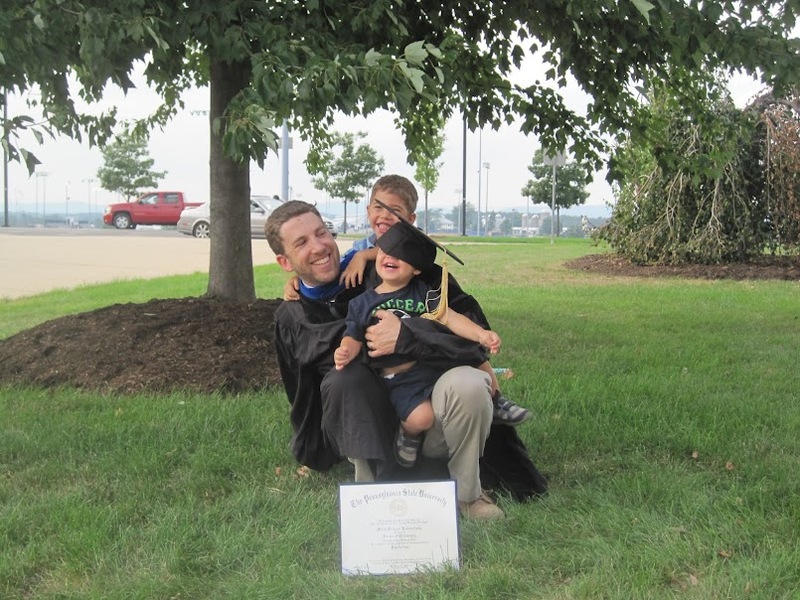 Focusing on graduate school, while also trying to be a supportive husband and present father was certainly an exercise in compromise, balance, and patience. For me, agentic decisions about how many hours I could spend in the lab, the type of internship I wanted to attend, and the career I wanted to have always had to take into consideration obligations I have to my family. I chose an internship and post-doc at an academic medical center and recently accepted a faculty position there because it provided opportunities to satisfy agentic strivings where I could treat patients, teach, and do research in an environment that still affords me the opportunity to satisfy communal needs. Coming into contact with interpersonal theory has been invaluable in helping me to recognize agency and communion as conceptual coordinates for navigating and making the most of graduate school. Moreover, finding new opportunities to balance agentic and communal strivings has been an essential exercise for staying on a Middle Path.